Day 3 Monday, Sept 10th, 2018 — Oldest to Cycle LEJoG? What a day! Perfect weather again. They just get better and better (so far!). 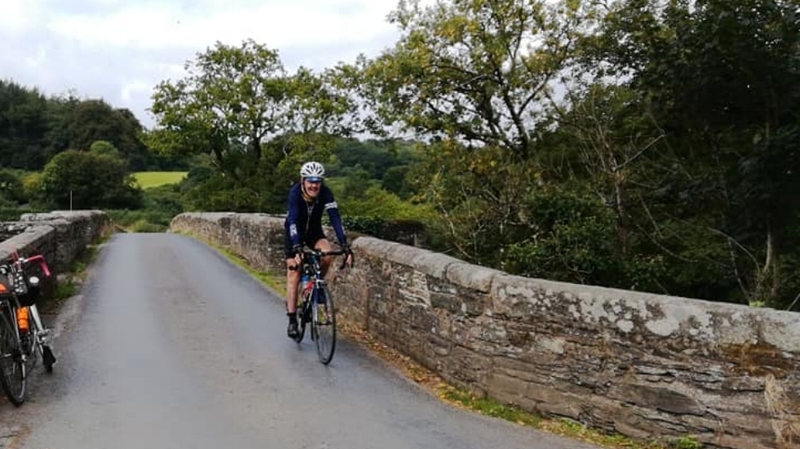 A very enjoyable 100+ km ride, leaving the hotel at 0845 making for Minions, Tavistock for lunch, over Dartmoor to Mortonhampstead for a bucket of tea. Then wonderful switchbacks (one of 16%, one with a short 25% start) on B 3212, through woodland with views to Exeter. A final flourish through horrendous city traffic to the Juries Inn was exciting. Arrived by 1630, before Chris arrived with the Van. The hotel is ultra-posh and I have a room to myself! News of the crash yesterday: Ray was kept in for an operation, which involved pinning a very bad break in the upper arm. His partner is coming to collect him and take him home. The bike is in the van, being taken to John o' Groats to be shipped home by the planned courier. Will add more news as it becomes available. Electronic grief - the Strava didn't record anything today. Maybe my incompetence; it seemed to be recording normally at the start but . . . . . I was suspicious when the battery wasn't running down quickly but was too thick to realise what was going on. Will know next time. Luckily, I have a backup with the Garmin, so there is a numerical record for today. Garmin records are downloaded to their cloud and Robbie has access to that account. (You see, I'm getting all the fancy jargon now). Post Script - I’ve found the phone Strava has updated from the Garmin site!! I was going to have a rant about busy roads and minority driver behaviour but I have decided the best policy is not to let it spoil a good ride and just ignore it all. That's the way it is, so just get on with it. Doing quite well with the Witness Book. People I ask are so helpful and it leads to interesting conversations with locals. Must go into a Police Station sometime to see what happens (see the Rules). I'm chatting up the Hotels and cafes so far, keeping the guys on the Tour as reserve. The Log Book isn't too much of a drag but it's not very legible, my writing is atrocious.